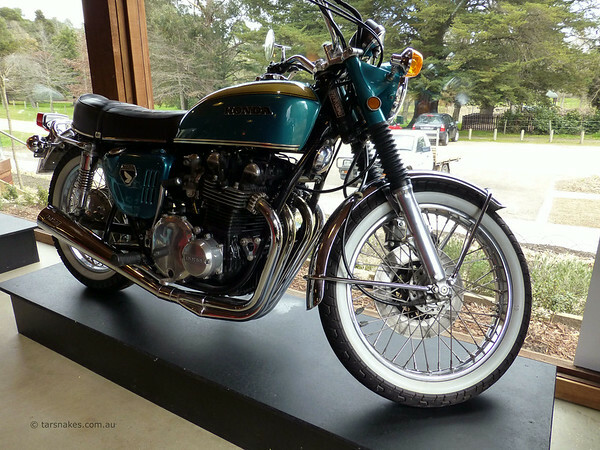 I took advantage of an improved weather forecast for Thursday 21 August and took run inland to central Victoria to visit the Moto Bean café as recommended by Raymond Herd, on his excellent Sandgropher motorcycle travel blog. Again it was a fairly cold, around 7C for most of the morning, however, it is still winter I guess. 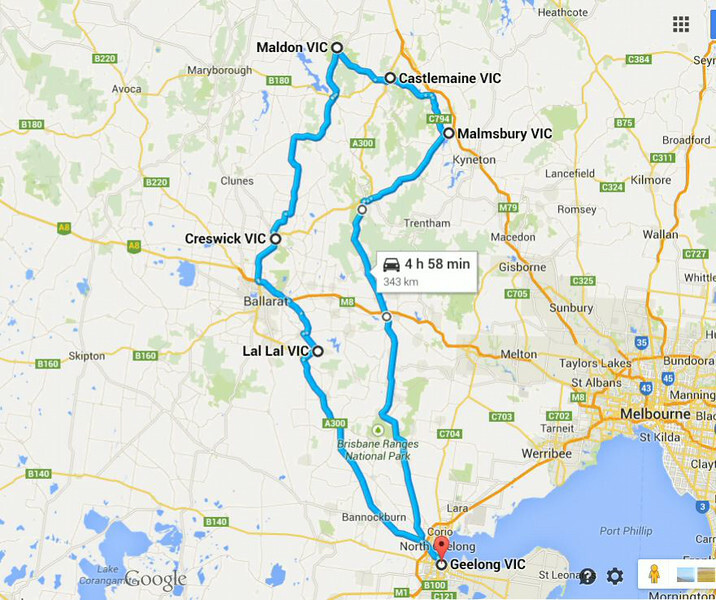 My route was from Geelong to Ballan, then Daylesford and on to Malmsbury – specifically the Moto Bean café. 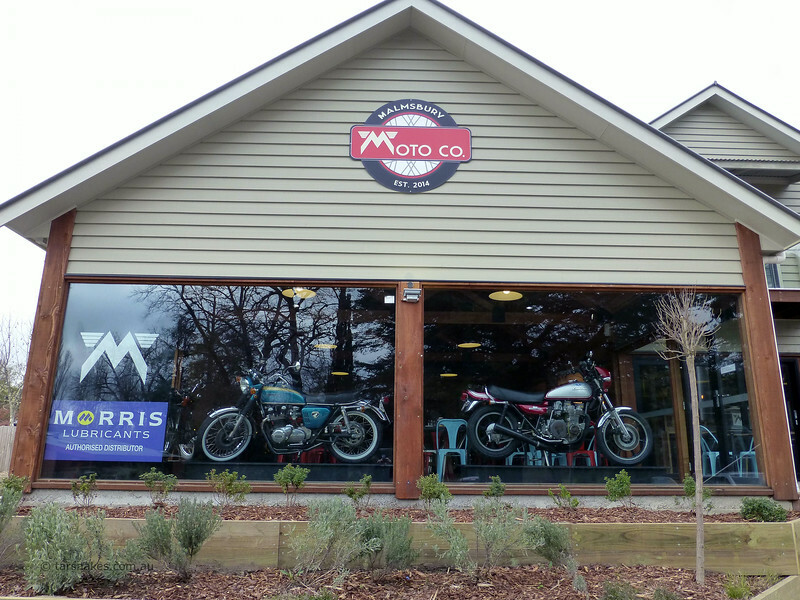 You may have guessed that the Moto Bean café is a moto themed café. It is a new purpose built building and rather than following the ‘1960’s diner’ theme, the owners have opted for a slightly industrial /warehouse style – and have pulled it off really well. 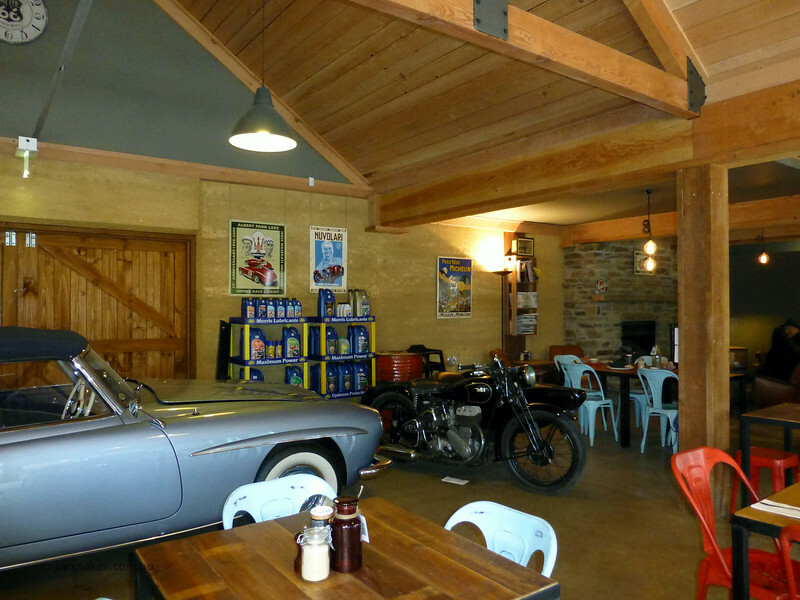 The place is spacious, warm and inviting – especially for motoring enthusiasts of any discipline – but also generic enough not to scare off non moto enthusiast patrons. However, it’s certainly great to go to a café that has magazines lying about that are of interest – namely a good selection of motorcycle magazines. 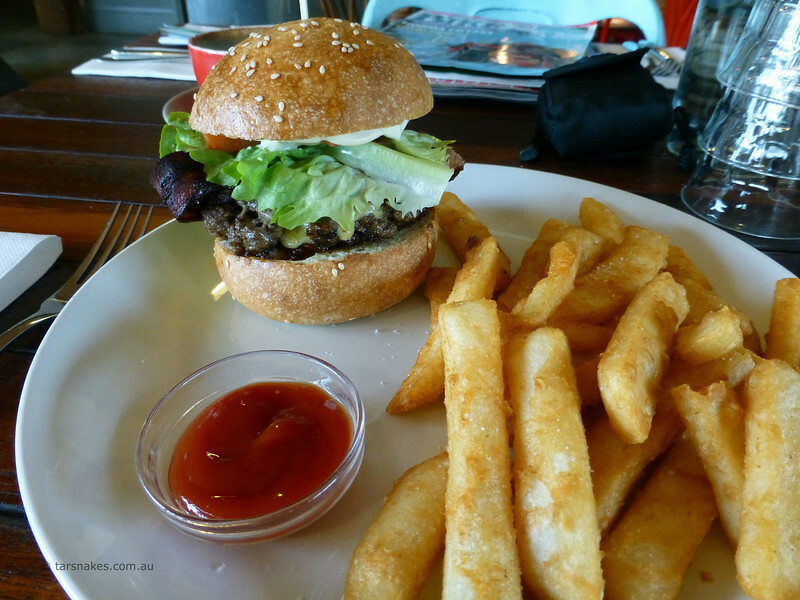 As is my habit duty, I sampled a tasty burger which the chef was happy to cook for me even though it wasn’t quite time for the lunch menu to commence. 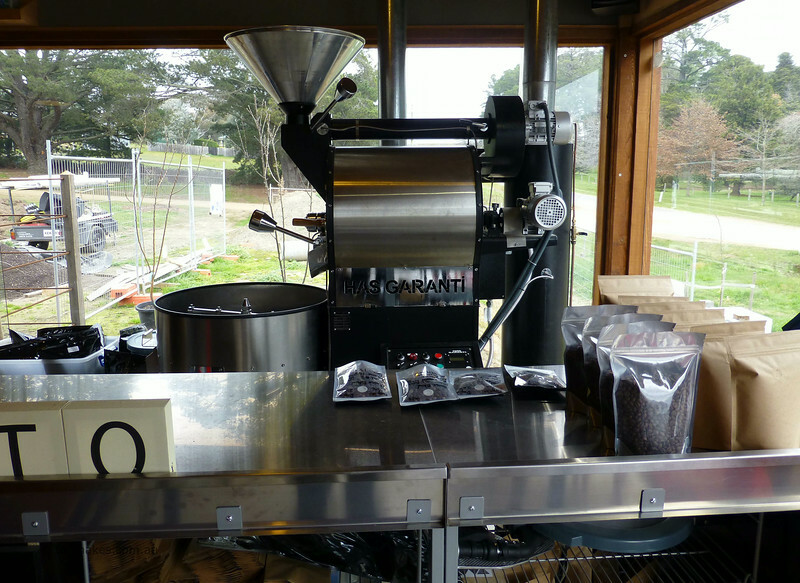 I also had a very friendly, welcoming chat with George (who is one of the owners), who took the time to explain the background of some of the display bikes, the construction of the café and some local scenic rides. Unfortunately I didn’t make it to Mt Alexander, but will be back to check out the area soon. Have a close look at the motor grafted into this K0 series Honda Four. 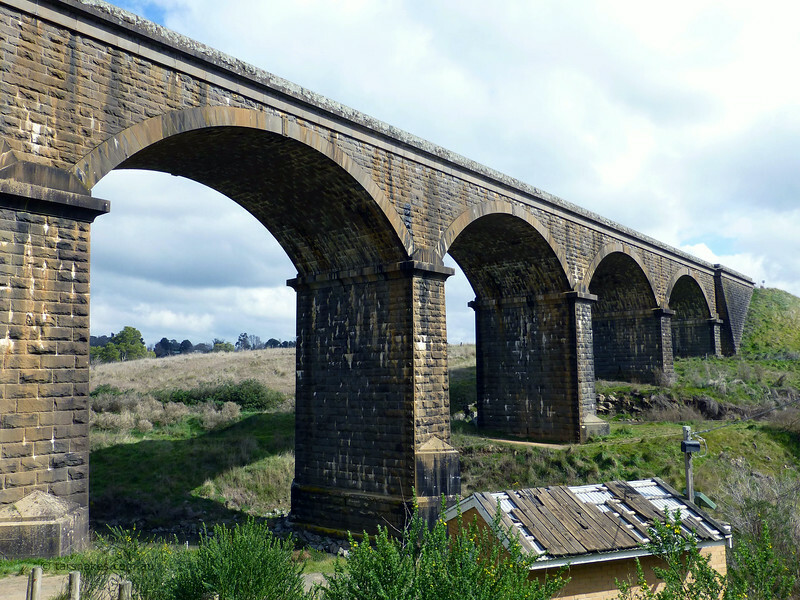 Malmsbury is also home to a large brick and masonry arched bridge built between 1858 and 1860, known as the Malmsbury Viaduct. Its just a walk through the park from the café. 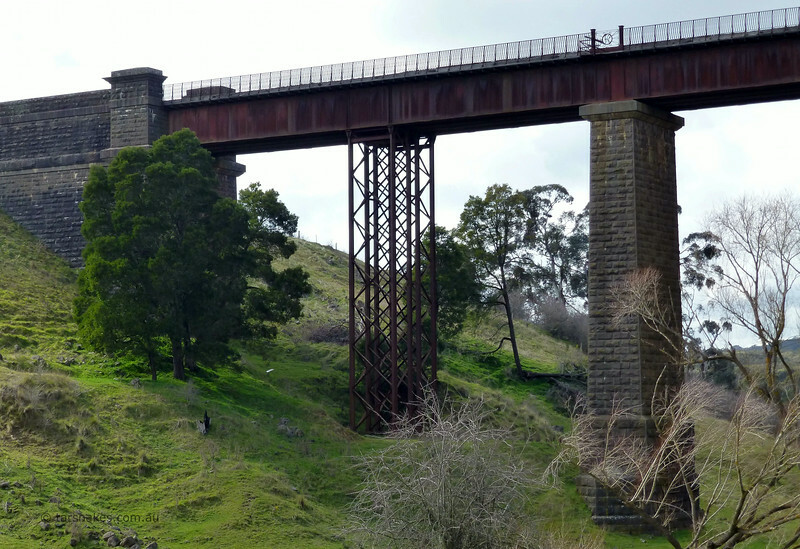 As I was leaving the cafe, a friendly patron suggested that I should also check out the historic Taradale Viaduct which is just a few kilometres down the old Calder Hwy. 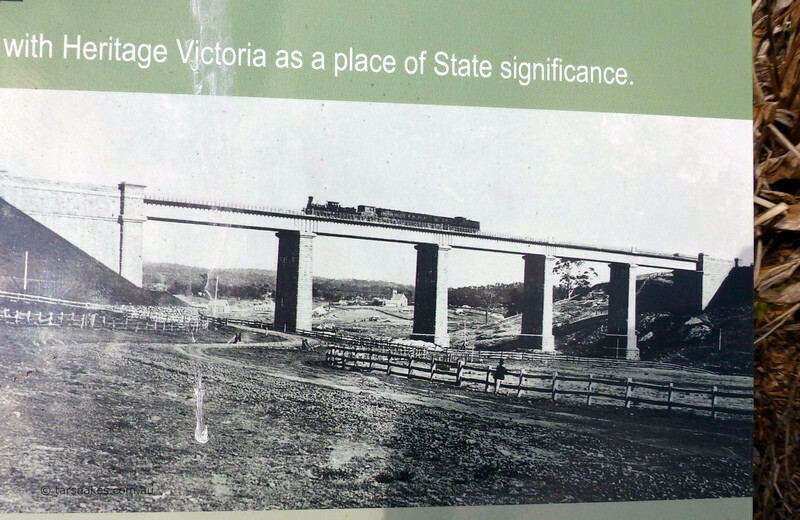 I was lucky enough to snap a train traveling over it – just as in the pic on the history info plaque. Now compare and contrast the bridge itself in the following two pics. I’m guessing that you noticed that in the 1862 pic the bridge is constructed of only masonry columns and no iron work. The iron columns were added much later in the 1930’s to cope with heavier trains. 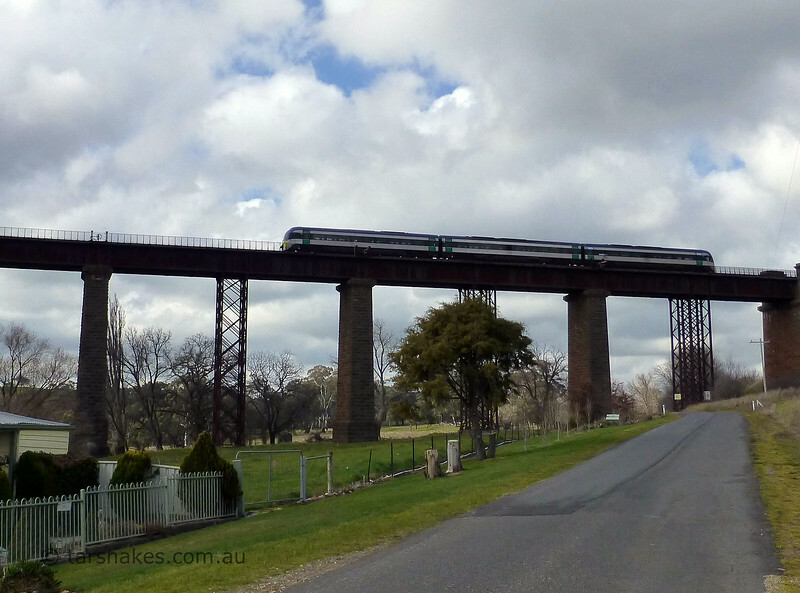 After taking some shots of the bridge I headed over to the pretty Sutton Grange road and from there over to Castlemaine for some fuel, then home to Geelong via Maldon (out of my way a little I know), Newstead, Creswick and Lal Lal –skirting around Ballarat. All up, a grand day out riding. A new venue, enjoying some tasty food and hospitality, some new roads to explore, with a little history thrown in to add interest.